THAT LOOK, MOVE, AND SOUND ALIVE! 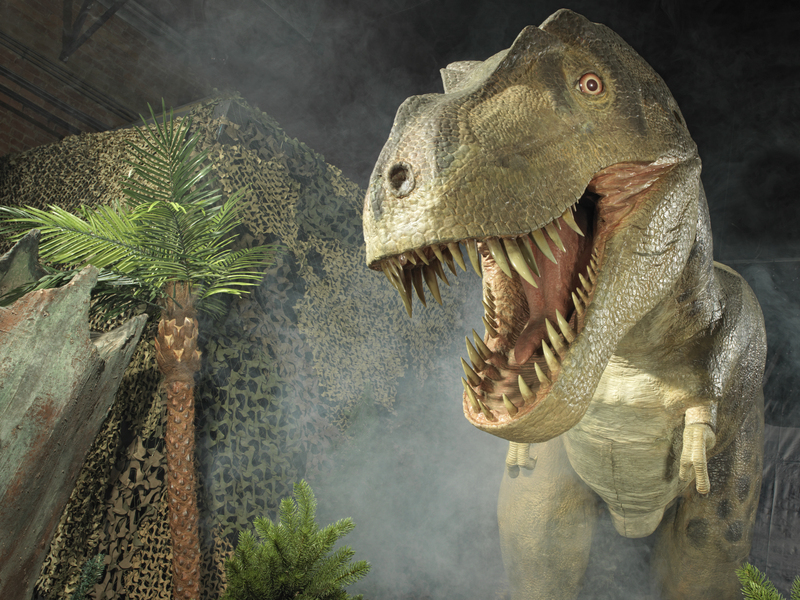 Dinosaurs went extinct 66 million years ago, but we have preserved them – in animatronic form! 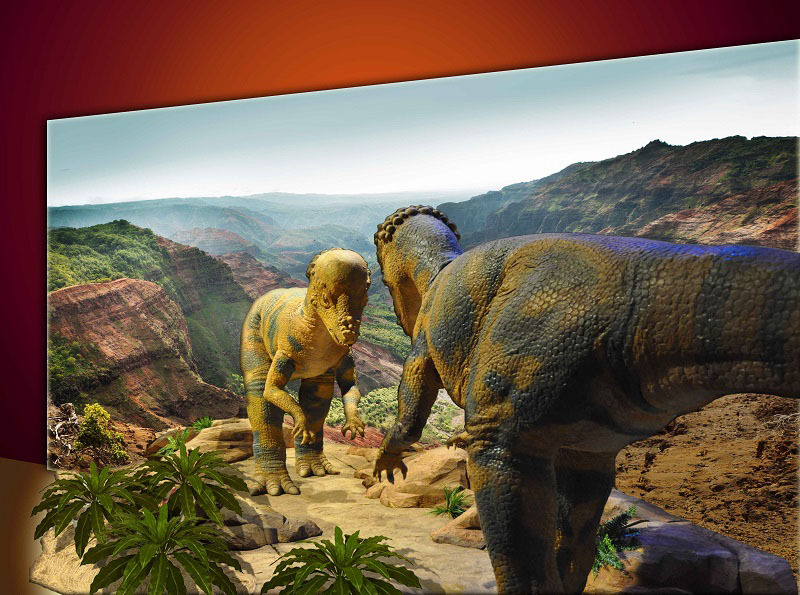 Walk through immersive dinosaur displays. Each habitat is realistic, and complete with scenic background images, plants, and ground cover. Witness dinosaur interactions – from parental care and herds, to predation. 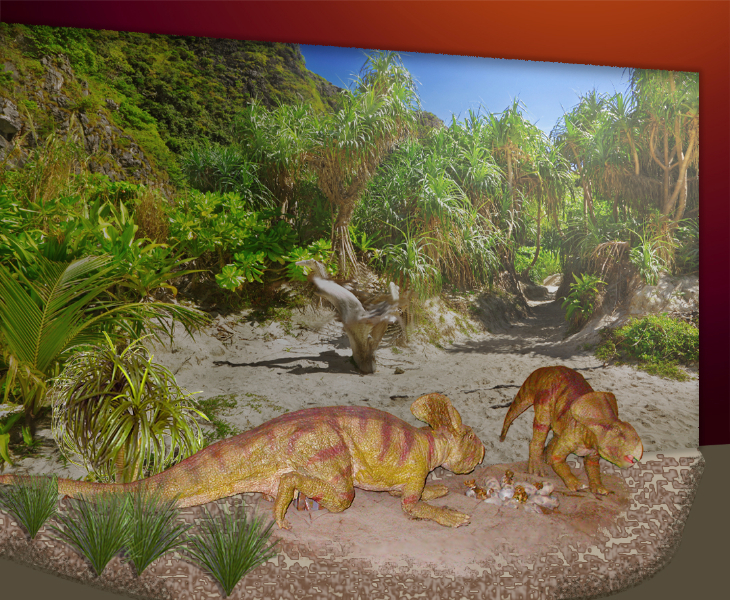 Remotely control dinosaurs and engage in interactive stations, such as the dig pit and fossil rubbing. Take a photograph riding a Triceratops or inside the deadly jaws of a T. rex. Call or email us to bring this exciting experience to your audience! Scenes of the Dinosaurs – 5,500 sq. 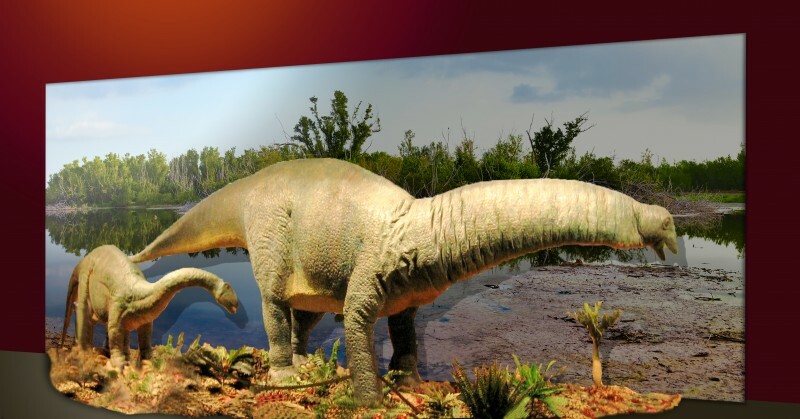 ft.
Dinosaur Families (big) – 5,000 sq. ft.
Jurassic Journey on Land, Sea, and Air – 4,500 sq. ft.
Life through Time – 4,500 sq. ft. 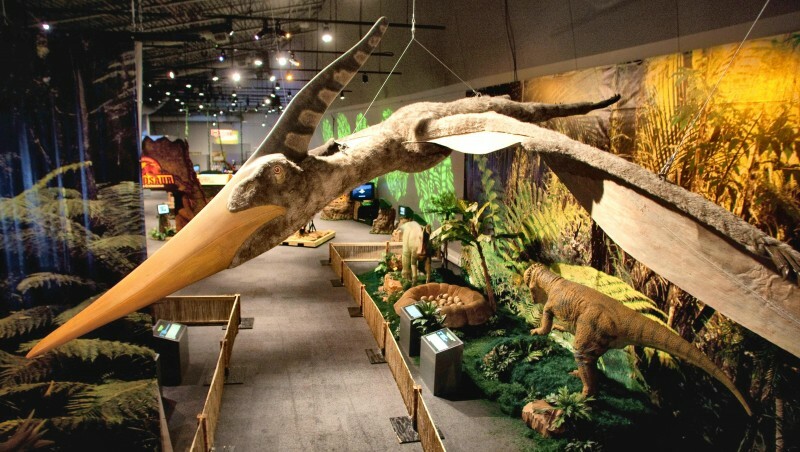 Enter the Dinosaurs – 4,000 sq. ft.
Prehistoric Carnivores – 4,000 sq. 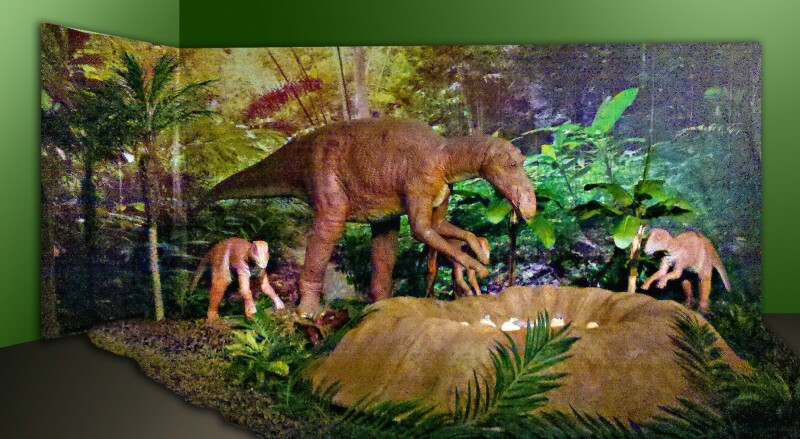 ft.
Dinosaur Families (small) – 3,000 sq. 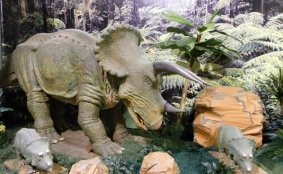 ft.
Age of the Dinosaurs – 2,500 sq. ft.
Dinosaur Discovery – 1,500 sq. 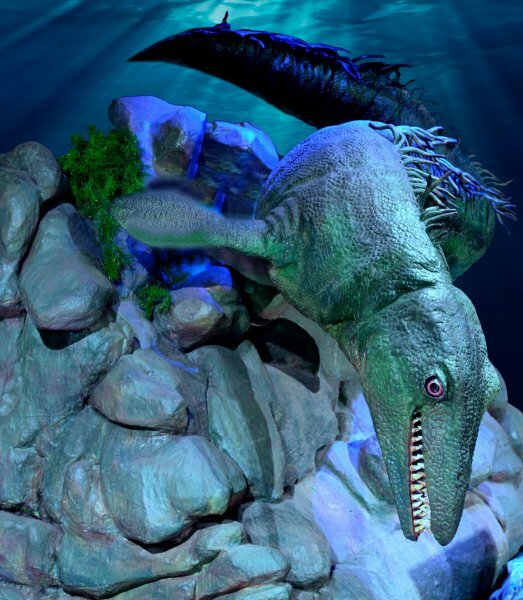 ft.
We also have custom-designed exhibits available!